With the aim of expanding the adaptability of our furniture to the different needs and demands of our customers, in addition to the new collections and products that have been introduced in the 2019 Price List, we want to offer more possibilities related to the products that have been with us for some time now. 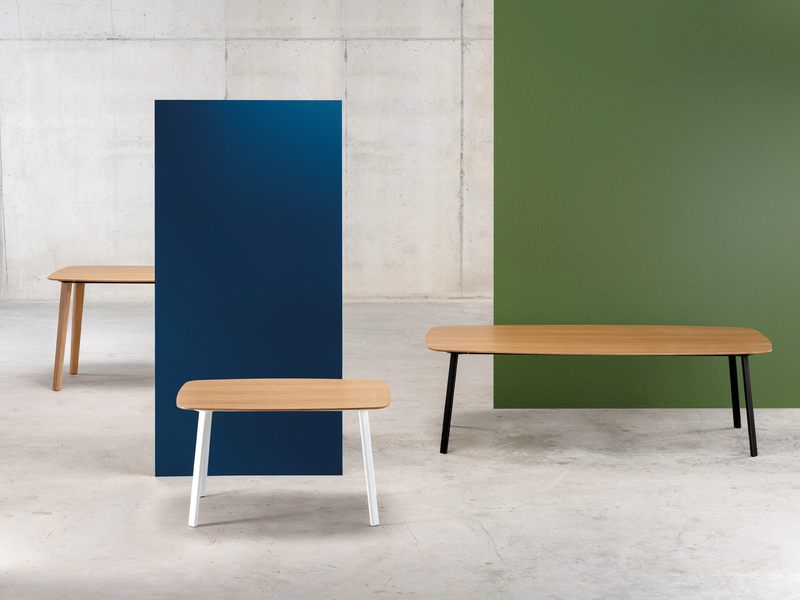 First of all, we would like to highlight the new natural or stained oak arms, designed by Estudi Manel Molina for some of our Lottus seats. 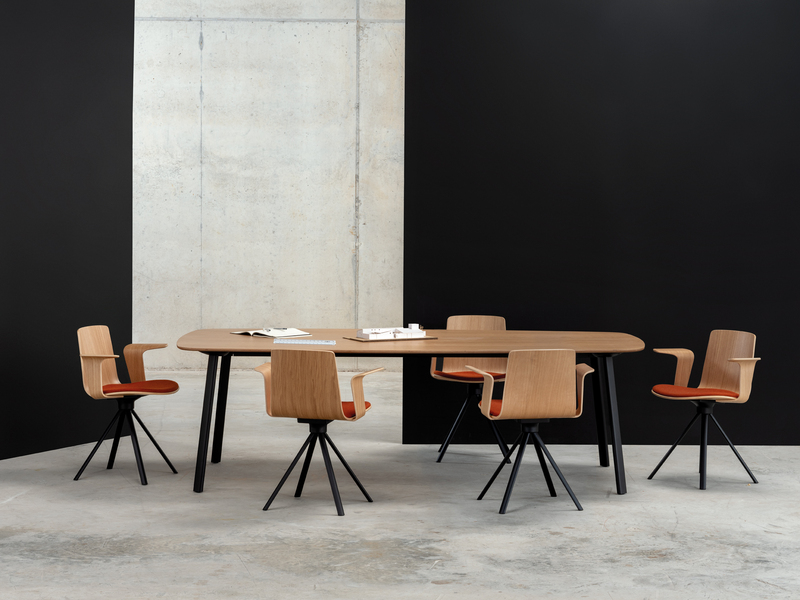 Specifically, these arms are available in the Lottus Spin, Lottus Office, Lottus Wood and Lottus Confident chairs, as well as in their higher-back versions, from the Lottus High family, and in the Lottus Lounge High. These armrests, molded and ergonomically curved, add a functional, sinuous and domestic feel, and they add, at the same time, a touch of informality and distinction. 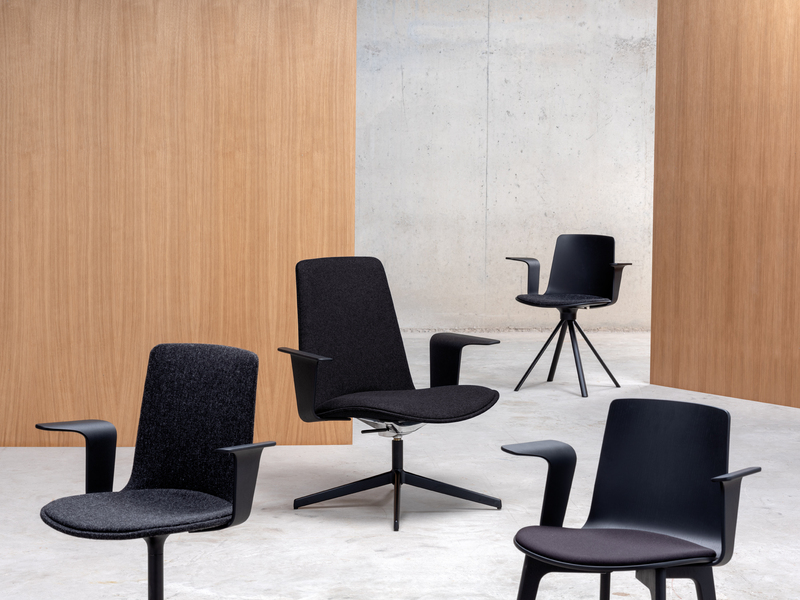 The second novelty also affects the Lottus seats, specifically to all the chairs of the Lottus High collection. From now on, they will offer the option of adding an upholstered backrest pad and they will also be able to be fully upholstered with triple foam. Our Tray chair has also more possibilities thanks to a new chair, which has a bigger writing table. Finally, to the infinite possibilities that our LTS System tables already had thanks to their available heights, shapes and accessories, we have just added the option of replacing the wooden legs with steel legs lacquered in any of our twelve colors in order to raise the customization capacity of these tables. Another novelty related to our tables is that, from now on, all the structures will be able to combine with every top. For now, these are the novelties we can offer in terms of new finishes. Throughout the year we will show new possibilities so our clients can choose the best solution for their projects.